Mecum is getting ready to auction off a monumentally-potent Ford Mustang GT built by Petty’s Garage at this month’s event in Kissimmee, Florida. The proceeds will go to Paralyzed Veterans of America – a DC-based organization committed to helping paralyzed US armed service veterans. Based on a 2017 Ford Mustang GT, this pony car features a striking color scheme with a Petty Blue roof and pillars, Petty Blue door mirror caps and brake calipers, and red stripes on a white body. 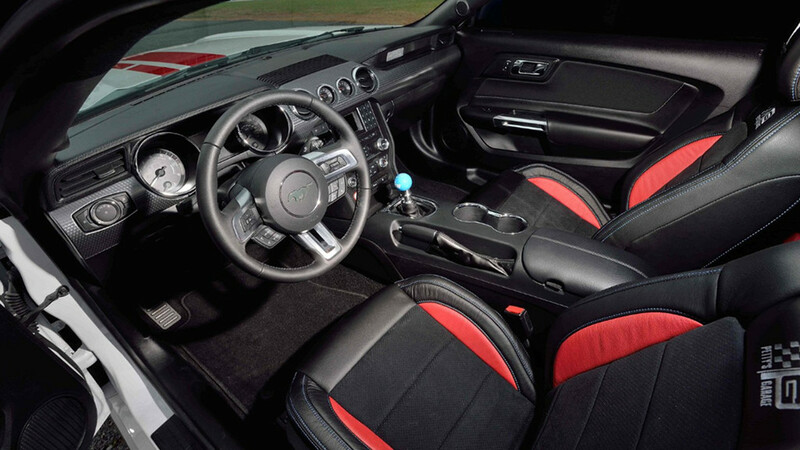 Inside, the custom Katzkin interior carries on the theme (on black rather than white) with sharp red inserts on the seat upholstery and an attention-grabbing Petty Blue shift knob. The Paralyzed Veterans of America logo is embroidered on the seat headrests. Of even greater importance, of course, is the performance. This Mustang GT is equipped with a Stage 3 Whipple Supercharger and produces an estimated 850 horsepower at the crank. A Barton Industries short-throw shifter is affixed to the 6-speed manual gearbox, and handling is bolstered by 3-way adjustable coilovers, upgraded bushings and adjustable sway bars from Petty’s Garage, and extra downforce from a Petty’s Garage rear spoiler. The wheels measure 20 inches in diameter, and come from HRE Performance Wheels. Mecum’s Kissimmee auction event runs from January 6th through the 15th. Be sure to check out the original Mecum Auctions listing for this 850-horsepower Mustang GT for more photos and info.